The story starts with a little mermaid calling together the mermaid princesses of the seven seas to help her find the beautiful dolphin diamond. 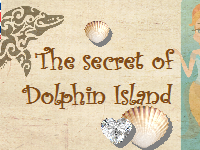 The shark king has stolen it from the dolphins and hidden it somewhere on dolphin island. But where ? To find it, the princesses must discover clues, solve riddles, put together a puzzle, crack the coded messages and follow the trail. But getting the diamond back won’t be easy. 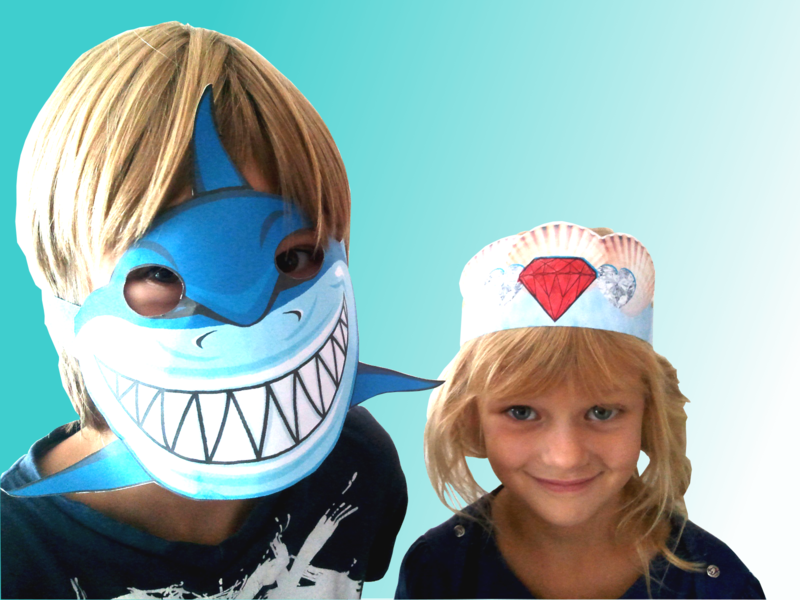 They must, at all times, watch out for the shark king ! He’s dangerous and mean. If they get caught they may have to spend time in his prison ! This a great, exciting game for girls aged 6 to 8 years. Be prepared for lots of screaming ! 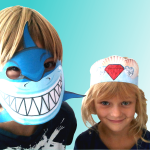 The children leave, happy, with their crowns, candy chests and photo frames. 2 rooms that can be made dark, and one that can be locked by a key.